As any of my friends will tell you, I am a book lover through and through (although they might say that the phrase "crazed book fanatic" is more apt…). I simply can't pass a bookstore without going in, and hardly ever leave without making a purchase. One of my birthday gifts last year was a mug bearing the words "I like big books and I cannot lie". I keep a wish list of books I would someday like to own by adding new titles to my Amazon.com cart as I discover them; my current subtotal is $363.54. You get the point. Imagine my excitement when I discovered Littlefly Literary Jewels by Jeremy May. 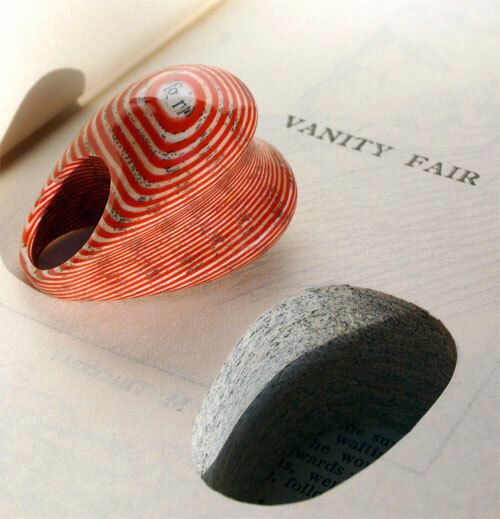 Jeremy makes each of his pieces by laminating hundreds of book pages together. 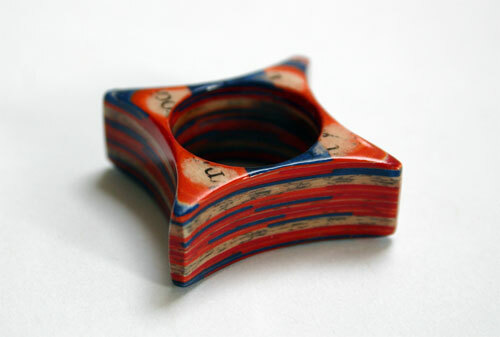 After the paper is cut from its binding and laminated together and shaped into a ring, bracelet, or pendant, it is polished to a high gloss and then re-insterted into the excavated cavity in the book before it is shipped out. See a few of Jeremy's incredible designs below, and browse through the rest of them here. 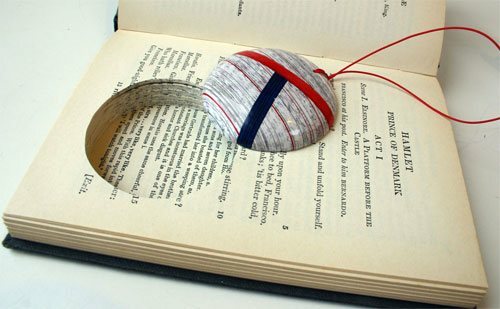 "A Tail of Two Cities"
Odds are, you know at least a few people who share my enthusiasm for the written word. 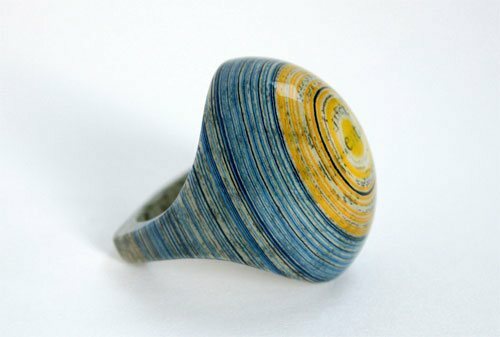 Skip the gift cards this holiday season and pick out one of these stunningly crafted pieces to give to them! 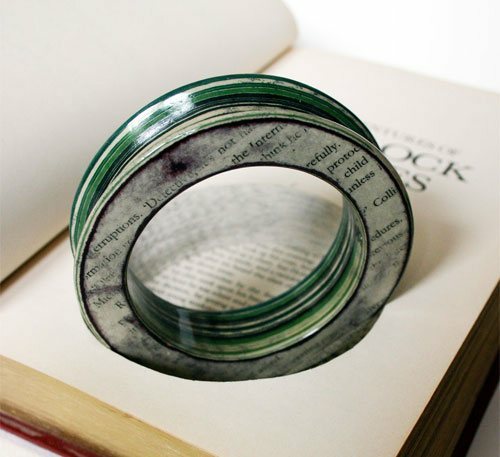 Have you discovered any other bookish jewelry designs?